For many years, although I had acknowledged the impact of various life experiences and the part they had played in shaping me to be the person I am today, there were some events and circumstances that I wished had never happened and of which I felt ashamed. These situations were not necessarily ones of my own making and I did not need to feel shame, but I still did. 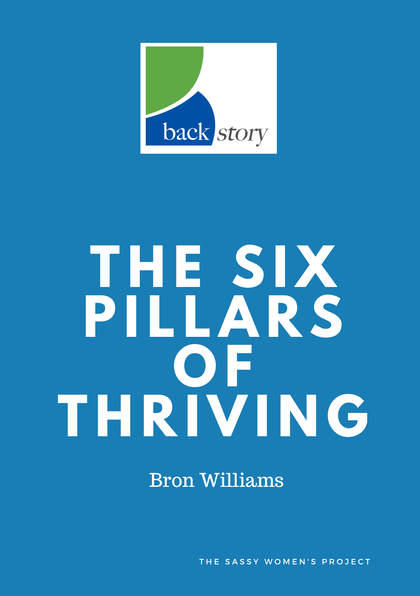 A real breakthrough came when I read these words by Brené Brown – “Owning our story, and loving ourselves through the process, is the bravest thing that we will ever do.” Own my story! That was the missing key! I knew what my past had entailed, I had acknowledged it, even accepted it, but I had never owned the past as my own. Somehow, I had always wanted to reject some things from my past, just wish they could disappear. And now, I knew I had to own them, take them into the fabric of who I was. 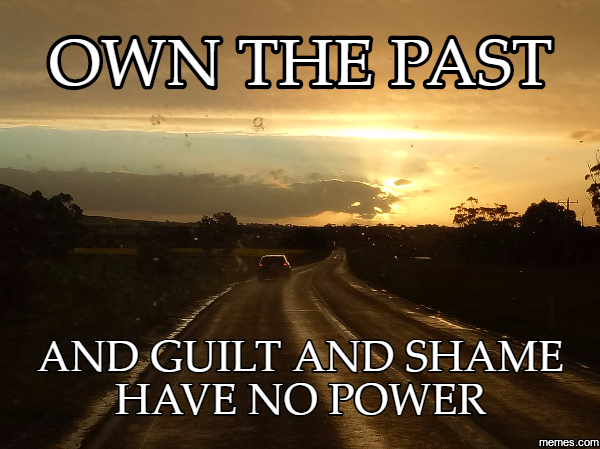 Own the past – it is part and parcel of my story! And the moment I did this, all shame and guilt disappeared. Everyone likes getting gifts and many of us like giving gifts almost as much as, if not more than, receiving them. There is joy and satisfaction in being on both sides of the gift fence. However, fewer of us take the time to give gifts to ourselves, often thinking that it’s a waste of money or that we’re OK, we don’t need anything special. I imagine that very few people would see some of the events of their lives as gifts – often they are seen as hindrances and baggage. However, my experience of owning my past has enabled me to see that this process is a gift I give to myself – not only a gift of freedom from guilt and shame but also a gift of potential for the present and the future. When we receive a beautifully wrapped gift we don’t say, “thank you very much” and then put it on a shelf to admire the wrapping – we open it to find out just what the gift is. Children are especially adept at ignoring the wrapping, tearing it off in their eagerness to find out what’s inside. This is how the gift of the past can be for us. We can either put it aside and just look at it from time to time, or we can rip that wrapping off and tear open the box and discover just what is awaiting us, what has been gifted to us. While we are sure that a wrapped gift will contain something we have always wanted, something that we will like, we are not so sure when it comes to opening the gift pf the past. We often approach this task with trepidation, afraid that opening the gift of the past may expose us to unwanted or difficult emotion – and that is definitely on the cards. However, like the unwrapped present left on the shelf, the gift of the past unopened is of absolutely no use to us. We must be brave and tear that wrapping off! When I talk to people about being powered by their past, many nod in understanding because they have come to appreciate that rather than being a Pandora’s Box of evil things, the past is a treasure chest of wonderful attributes, lessons, and understanding that we can call on right now. It is in reflecting on the past, on the insight gained by facing different situations, on the strength developed by enduring hardships, the wisdom accumulated by processing success and defeats that we find that we have developed our own unique superpowers. These superpowers may not be the ability to see through walls, aka Superman, or read minds, as Professor Xavier of X-Men can. However, our superpowers are as uniquely individual and as authentically powerful as those of our favourite superheroes. We may not realise that we have such power, or we may take them for granted because they have developed over time. This is where a guided Backstory program, that enables us to own the past as the gift that it is and identify our own unique superpowers, can be so helpful. If you would like to find out more about owning the past and identifying your own superpower, leave your details below and I will be in touch. Together, we can own the past, unwrap its gift and start using our superpowers for today and into the future.